Ole Gunnar Solskjaer will face Old Trafford for the first time since being appointed as Manchester United’s permanent full-time manager as the Red Devils take on Watford to mark their return to Premier League action. Ole Gunnar Solskjaer has a tricky injury lineup to contend with after the international break. The likes of Eric Bailly, Luke Shaw, and Matteo Darmian still remain in doubt for the fixture while injuries may restrict Romelu Lukaku, Marcus Rashford, Anthony Martial, and Alexis Sanchez from also not being able to play a part in the game, limiting the number of options left to the Norwegian gaffer. He may have to dip into his youth players again to solve those woes, while the likes of Pogba, Mata, and Lingard could populate the matchday squad in vital spots. Javi Gracia’s Hornets aren’t as plagued by injuries, with the 8th placed side just required to mull over the potential fitness of Isaac Success and Kiki Femenia. Their position in the Premier League table is an intriguing one. With all the spots in the top 6 considered to be unattainable, the battle will be on between Watford, Wolves and West Ham to finish as high as possible. 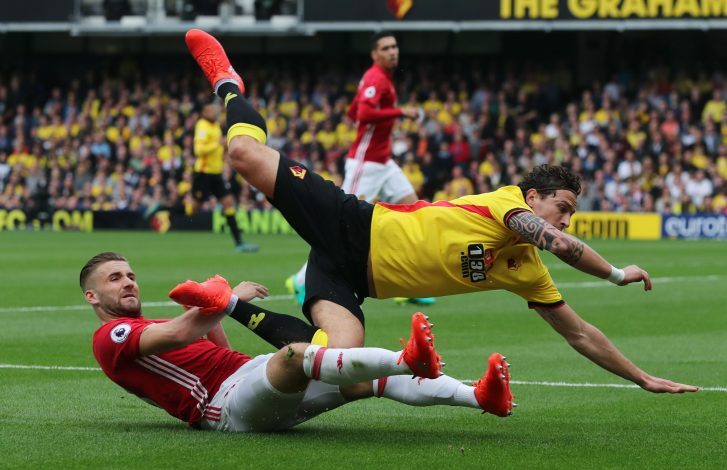 Wolves showed in the FA Cup just how good they can be, can Watford do the same on Saturday at Old Trafford?